NASA will celebrate the 49th anniversary of the Apollo 11 moon landing this month and to mark the occasion, hundreds of never-before-heard audio tapes have been dug out from the US space agency’s vaults. NASA made history on July 20, 1969, when it successfully landed two humans on the surface of the moon and returned them back home. But researchers at the University of Texas, Dallas (UT Dallas), have now released hundreds of audio clips recorded during the eight-day and three-hour mission. The tapes which until now have been under lock and key in special climate-controlled vaults reveal the candid conversations held between the Apollo 11 astronauts and Mission Control in Houston. The Apollo 11 mission blasted off from Earth with astronauts Neil Armstrong, Buzz Aldrin and Michael Collins on July 16, 1969, before splashing back down in the Pacific Ocean on July 24. During this monumental trek to the moon, hundreds of audio conversations were beaming back and forth between the astronauts and NASA over so-called communication loops. Until now, the recordings of the behind-the-scenes stuff and discussions over technical systems were kept locked away. But a collaborative effort between NASA and UT Dallas has painstakingly recovered and digitised more than 19,000 hours of audio which are now available to hear online. Hidden among the audio recordings are gems such as Buzz Aldrin asking Mission Control to turn the Earth around for a better view. 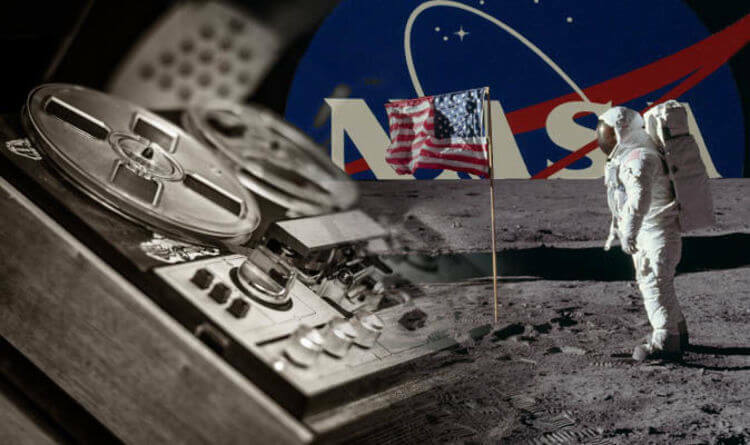 Greg Wiseman, the project’s lead audio engineer for NASA Johnson’s Communications and Public Affairs Office, revealed the incredible effort to restore the tapes began in late 2013 before completion in early 2018. Mr Wiseman said the challenge was only made possible by the many people who cared about preserving the history of the moon landing and finding a way of sharing it with the public. Each of the audio tapes uploaded online comes with a transcription of the various voices coming through on the intercoms. One tape recorded around the lunar landing module’s fuel venting phase reads: “Roger, we read you five by five here. Another audio clip from the moment of moon landing follows an exchange between Mr Collins and Jim Lovell, commander of the ill-fated Apollo 13 mission.